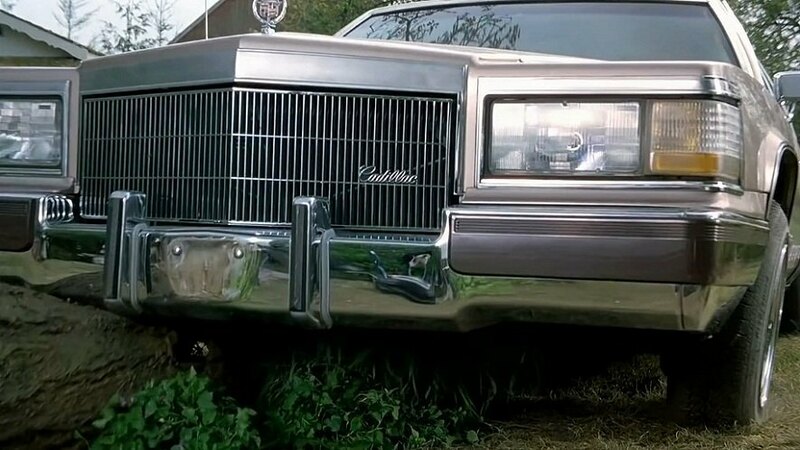 IMCDb.org: Cadillac Fleetwood Brougham in "Scary Movie 3, 2003"
That's not a Seville, that is definitely a 1990 Cadillac Brougham (formerly known as Fleetwood Brougham). In 1989, 1990, 1991 and 1992 the "Cadillac" script on the grille was located BELOW the second horizontal separator. In the image, it is affixed ABOVE that separator. Maybe the result of an accident ? 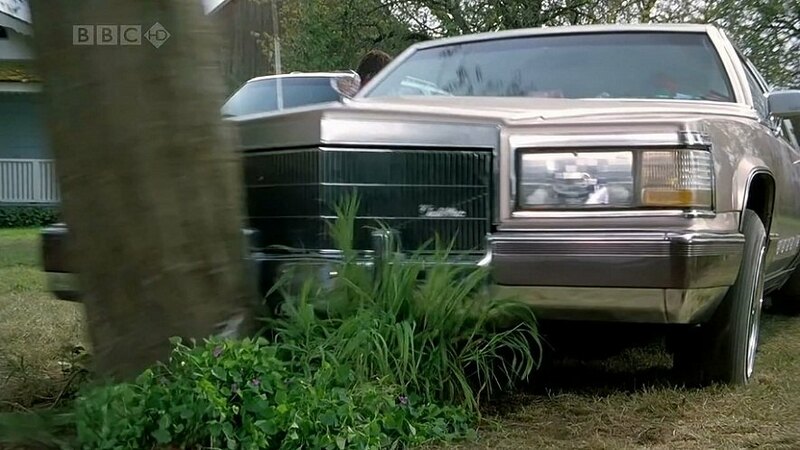 Actually, its an '83-'84 Fleetwood Brougham coupe with '90-'92 body moldings, I saw the movie. the lowrider guys do this all the time. you can tell it was originaly an '83-'84 by the grille, and if you really look at the doors, you can see its a coupe. And IIRC, the landau top is Fleetwood and not Deville. But why not swap out the grille for the newer one if they're gonna swap the trim and headlights too? IMO, those full-size RWD Caddys only look good with four-eyes. I don't particularly like the huge composite lights on those cars. I would say that its a 1990-1992 Brougham due to the full wrap-around front, bumper. Agreed. Looks like a '90 to '92 with an earlier grille substituted. Commander 57 wrote Agreed. Looks like a '90 to '92 with an earlier grille substituted. Should be renamed as Fleetwood Brougham Coupe as the 2 door model was dropped after 1985. Also drop the model year entirely as it has obviously been cobbled together out of several years.